Harbison Meadow is subtle in it's beauty. If you enter Rocky Mountain National Park from Grand Lake on the west side of the park, it's the first landmark you drive through on your way through the Kawuneeche Valley. The Harbison sisters homesteaded on this land before Rocky became a National Park and nature has reclaimed most of what their hard work created. This morning virga from the remnants of thunderstorm the night before skates over Harbison Meadow. 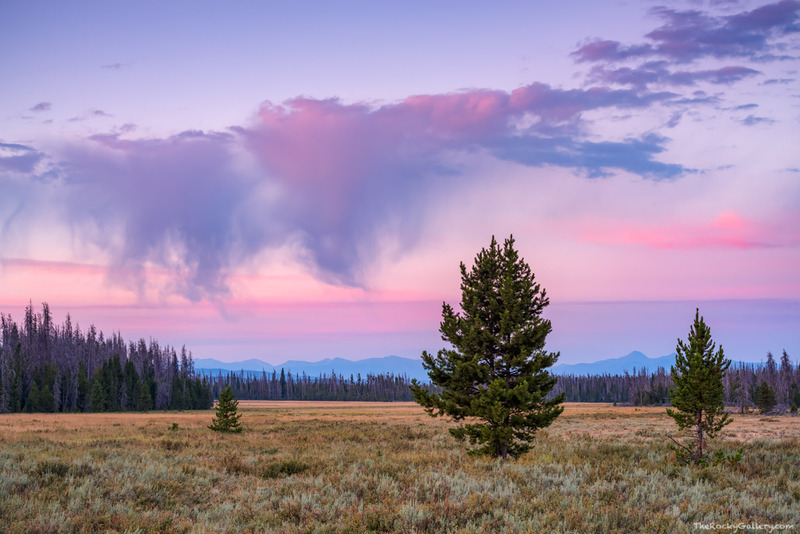 The rising sun created a beautiful pastel pallette over the sage flats that make up Harbison Meadow with the Gore Range seen in the distance. Photo © copyright by Thomas Mangan.